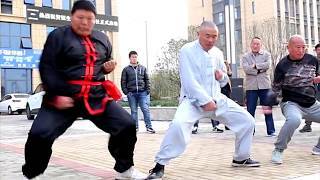 Welcome YouTubers and YouTubettes to Kung Fu Fools and Martial Art Fails. Today we have a very special episode. How special? Well if a special episode created a special episode for another special episode, this would be that episode. We're going to explore the exciting world of martial arts with some karate chop razzing. So put on your ninja slippers and Chuck Norris pyjamas because here we go. Personally, I don't trust any martial arts instructor who can't even defend himself against a big mac attack let alone another person. This Chuck Porridge needs an extra black belt just to hold up that Panda Express gut. But let's see what sensai snacks has to say. You'd learn more watching cartoon ninja turtles than training with him. I'm guessing the toughest fight he's had is buttoning his pants every morning. I'm thinking this chunky monkey needs to get back in shape and I have the perfect solution - Aerobic self defense. Look at this poor woman. Every where she goes some guy is grabbing her. I'm guessing she's an actress in Hollywood. But not to worry, now she can jazzercise her way out of any dangerous situation. This is great self defense if you're being attacked by Richard Simmons. 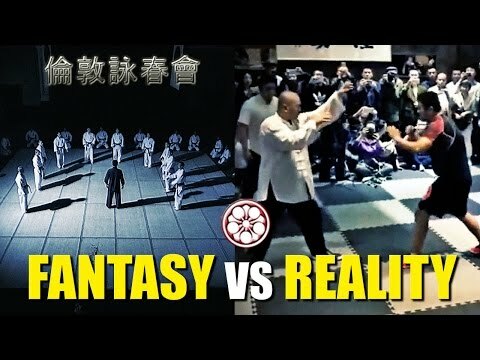 I know slapping sounds ridiculous but watch it put into real life action by master Ricky Oh. See nothing to it. Just a little tappy tap and eyes pop out. I'm not sure why people are fascinated with kicking stuff off people's heads and why anyone in their right mind would volunteer for it. This should be the new litmus test for IQ's. 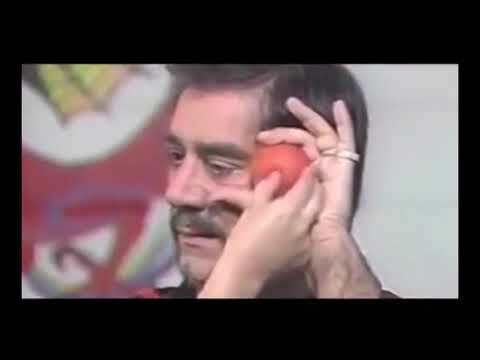 If you agree to have someone kick an apple off your head then you have to go back to kindergarten regardless of age. Ahhh yes, concussions are the loving gift that just keeps on giving. How do you know if your woman loves you? She stays with you after you kick her in the head. And how do you know if your man loves you? He doesn't try to kick things off your head. So if you get tired of kicking people unconscious you can always move on to breaking bricks and boards with your hands, feet, and heads. How hard is that? Well if you're this guy then it's not very hard. Sticks and stones will break my bones should be the theme of these martial artists. 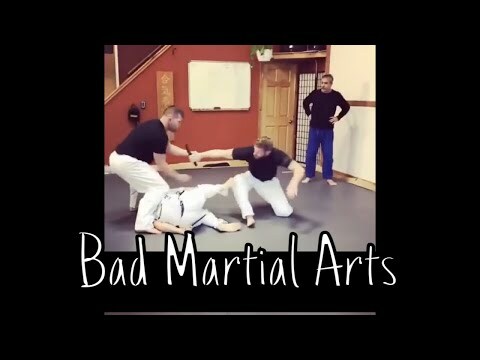 Okay, so after watching all of these amazing demonstrations of martial arts you've decided you want to train. But the problem is, how do you find a good instructor to teach you. Don't worry novice ninjas, here are some of the finest martial arts experts in the world.